Whether or not you want a phone this big is a matter of personal taste. If you have a 6in smartphone you really don’t need a tablet, as a phone this size is perfectly big enough for casual web surfing. However, it does poke out the top of a jeans pocket, and you'll find you often can’t sit comfortably without taking the phone out and putting it on a table. It's also not particularly comfortable to hold for long phone calls, and it's not really practical to use the touchscreen one-handed. The HTC One Max is a reasonably impressive example of a super-sized smartphone. We like the design, the screen and the battery life, but the phone’s performance doesn’t match its premium price, and the camera is substandard. We’d be tempted to save some money and find a grey imported Samsung Galaxy Mega instead. However, the Samsung Galaxy Note 3 is still king of the monster phones. The official price of the One Max is Rs 56,490 but you can find it online for a little under Rs 50,000. 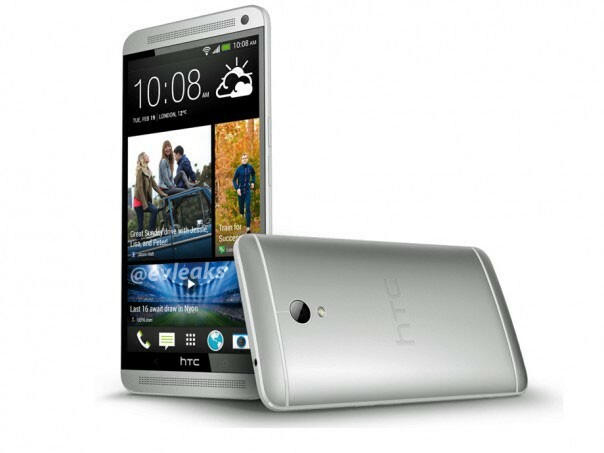 This is a very high price for a phone that’s just a larger version of the HTC One with a fingerprint sensor. Not only that, the Max is also very inconvenient to live with everyday due to its large size and weighty body. Even of the phone does get a major price cut in the future; we wouldn’t recommend it since it’s a task to live with and HTC will be unveiling its successor in just a couple of days. Our overall experience with the design and feel of the One Max was positive. The phone is heavy, but what you trade for weight you make up for in aesthetics and durability with an extra-rigid back cover. We weren’t overly fond of the placement of the fingerprint reader on the back of the phone since this often required us to turn the phone over in order to unlock it. HTC's strategy has been to take a winning formula and adapt it to multiple device sizes and price points. For better or worse, the intended top-of-the-line One Max doesn't seem that much more of an improvement over the One. Ultimately, if given a choice between the One Max and the One, we'd go with the latter. With roughly the same power under the hood and even the same screen resolution, the One Max simply doesn't distinguish itself enough. It also doesn't help that it looks way cheaper than the One, and doesn't have any unique features apart from the forgettable fingerprint reader. If you're more focused on productive work, consider something like Samsung's latest Galaxy Note model. If you like the look and feel of this phone, you'll almost certainly prefer the smaller One. It's only if you're seriously in love with outsized phones and spend a lot of time gaming or watching videos that the One Max is worth considering. The HTC One Max is a case of too much of a good thing. It comes with everything we loved in the original One, including best-in-class audio, a dynamic BlinkFeed interface and an appealing aluminum design. However, while having such a large screen is great, the software isn't optimized for a screen that size, and the design will be too bulky for many users. The One Max doesn't have any glaring flaws, except that it's basically a reprise of the HTC One with a few new minor features. Regardless, the device is the whole package: speedy processor, capable camera, 1080p screen, and a custom Android interface that looks like someone actually spent some time designing and curating an interface fit for a phone. It’s still a really big device, however, and if your phone is often a pocket-dweller I'd suggest just sticking to the original One, especially since it will eventually receive the Sense 5.5 update. The HTC One Max is a gorgeous Android device that offers a beautiful 5.9-inch display, powerful speakers and a premium chassis. And, unlike the Galaxy Note 3, this $249 handset delivers faster LTE data via Sprint's Spark network. However, the Max's monstrous dimensions and heft will likely prove too much to handle for most users. Video: HTC One Max review - big Android phone is really big. Did we mention that it's big? Let's deal with the elephant in the room: the HTC One Max is big. Big, big, big. In moving up to what might be broadly termed the 6in phablet category, HTC has avoided any complicated redesign and taken the rather nice HTC One and made it bigger. Bigger and heavier. This is a high-quality and stylish slab of phone, but it's a big one. Big even when it is next to the Galaxy Note 3. Did we mention that it is big? HTC has a strong foundation upon which to build upon with the max, both the One and the One Mini are excellent smartphones with the One being crowned as T3's Phone of the Year at the T3 Gadget Awards 2013. It's not that the One max is a bad phone, in fact all of the specs on the One Max are impressive and they perform incredibly well, but ultimately it's the way in which you package these that counts and in this instance the Max just isn't practical. The One Max is a true phablet in that it makes your whole gadget haul simpler – instead of doubling-up on devices that do many of the same things you can keep a big tablet or laptop at home and manage brilliantly throughout the day on this single device. Big though it may be, the One Max is still overshadowed by our expectations. It should have taken things further than the One, but instead it merely attempts to cash in on the One's reputation by allowing HTC to claim that it has a "family" of One devices -- devices that in reality have little in common with each other beyond their superficial appearance. The One max was the obvious next step for HTC’s range. “We’re very committed to being tight with the product portfolio” HTC told us, contrasting its scattershot approach of old – different devices for every different carrier, and for every different possible market niche – with a new age of restraint. The company is particularly proud of the fact that the One max will launch with that branding universally, rather than being renamed on Verizon. We won't pull any punches. The HTC One Max doesn't come close to hitting the heights of the HTC One. It's a phone that's designed to serve a very singular purpose - give those that liked the look of the One a phone with a bigger screen, and almost nothing else. However, HTC seems to be doing nothing more than ticking boxes here by making a One with a bigger screen - let's hope that the One Max 2014, if there is such a thing, gains something more of its own identity. The HTC One is one of the most beautifully-designed Android phones ever. It already has a smaller sibling in the form of the HTC One Mini, and it’s set to get a big brother very soon in the form of the HTC One Max. Riesen-Talent mit 5,9 Zoll-Display ? 0.22 kg: Este peso es típico de smartphones. 78.88%: Esta evaluación no es convincente. Debe ser considerado que difícilmente existen portátiles que reciben una evaluación abajo de 60%. Esta portátil es evaluada abajo del promedio, esta realmente no es una recomendación para la compra.